A successful pilot program for the San Antonio Water System is expanding to encompass the nation’s widest deployment of smart infrastructure in sewer collection systems to lower operating costs, reduce rate pressure and dramatically decrease sewer overflow risk. A successful pilot program for the San Antonio Water System is expanding to encompass the nation’s widest deployment of smart infrastructure in sewer collection systems to lower operating costs by millions of dollars, reduce pressure on rates and dramatically decrease the risk of sewer overflows. The San Antonio Water System (SAWS) is in the process of strategically deploying 200 SmartCover Systems real-time remote sensors to keep a high-tech eye on troubled pipeline segments citywide. These units will join more than 300 current sensors used to monitor high risk pipes, increasing the smart monitoring network to more than 500 sites. This massive deployment is considered the largest of its kind by one of the largest and most innovative utilities in the country. The sensor network continuously monitors sewer flows and provides SAWS with the ability to “see” how its pipelines are faring. The SmartCover network includes a proprietary software platform which puts information at the at the fingertips of operators so they can make decisions in real time, extending the lifetime of pipes and saving money. According to SmartCover Systems’ CEO Greg Quist, SAWS’ decision to expand resulted from the time and cost savings proven in an earlier test using 10 SmartCover units. The test aimed to prove that a fast and consistent return on investment could be achieved. 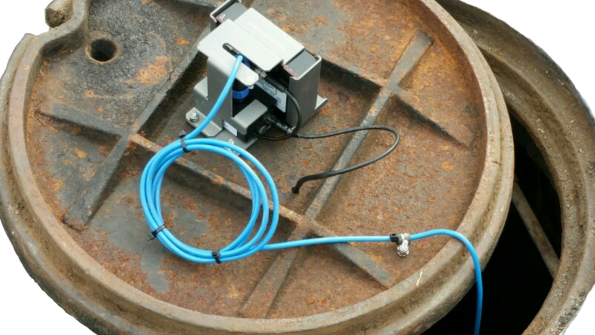 SAWS selected 10 high frequency cleanout sites to install remote field monitoring units. SAWS shifted its protocol from regular cleaning frequencies to cleaning only when the monitors indicated that it was necessary. During the 12-month test, SAWS performed only seven cleanings based on the monitoring and trend analysis, compared with 122 cleanings that would have been done under the HFC scheduling, a 94 percent reduction. Resulting data eliminates unnecessary maintenance and redundant cleaning previously scheduled to ensure sufficient flow capacity. Less cleaning reduces operational costs and demands, wear and tear on pipes, and less staff labor, all while maintaining 24/7 protection from overflows. In 2014 alone, the system prevented more than 500 potential sewer system overflows at locations with a high risk due to the structural condition, grease, debris or roots.